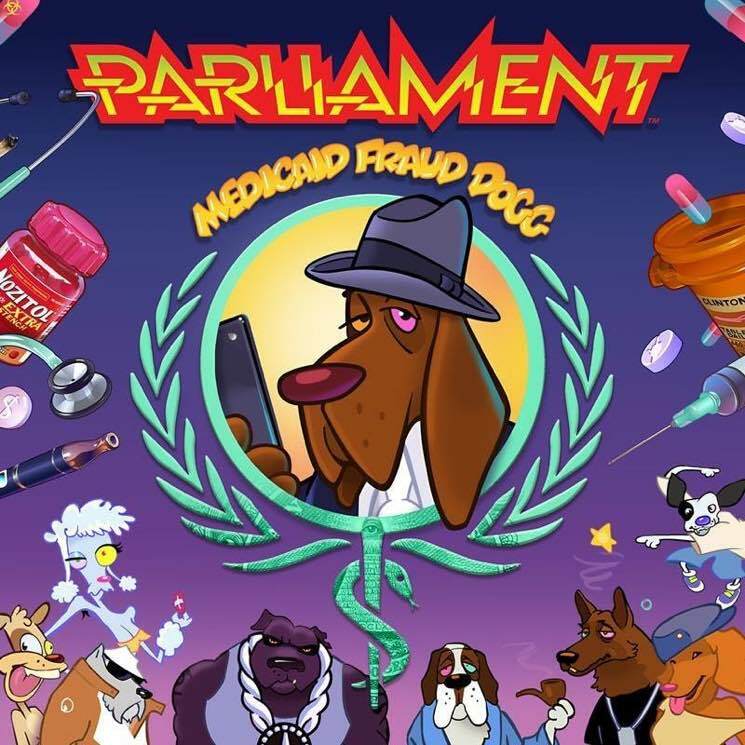 George Clinton's iconic funk band Parliament have released a brand new album called Medicaid Fraud Dogg. It arrived unexpectedly today as a digital-only offering. Medicaid Fraud Dogg is the first record to be released under the Parliament moniker since 1980's Trombipulation. It features the previously shared single "I'm Gon Make U Sick O'Me," as well as other medically-minded tracks like "Medicated Creep," "Pain Management," "Insurance Man" and "Type Two." Then there are cuts like "69" and "Loodie Poo Da Pimp." Give all of them a listen by streaming Medicaid Fraud Dogg below. As previously reported, Clinton will retire from touring next year. See his upcoming shows here.